Premium British drama brand BBC First has made its debut in Hong Kong as a SVOD service on the territory’s largest pay-TV provider, Now TV. The premium drama brand has launched successfully in key markets around the world including Australia, South Africa, Benelux and the Middle East and offers viewers the best British drama from the BBC and UK independent production companies. Viewers will also be able to access select popular and distinct dramas from the BBC within 24 hours of their original transmission. From the makers of Doctor Who comes this epic young-adult series set in contemporary London. Written by award-winning author Patrick Ness and starring exciting new talent, Class is scary, funny, and as painful and sharp as youth. Like all teenagers, the students at Coal Hill Academy have hidden secrets and desires. They are facing their own worst fears, navigating a life of friends, parents, school, sorrow – and possibly the end of existence. Paris, 1947. A fashion empire rises from the ashes of this war-torn city. The House of Sabine is run by two very different brothers. Breathtakingly charming and thoroughly ruthless, Paul Sabine controls the business. Meanwhile it is his reckless, hedonistic younger brother Claude whose fresh vision is ushering in a new era in haute couture. But behind the glamour and success lie devastating secrets that threaten to tear this family apart. Sophisticated and contemporary in tone, The Collection is a story about the price of success, set during a pivotal moment in France’s history when fashion became a vehicle for transformation and reinvention. Maya, a barrister in London, is about to become the first black Director of Public Prosecutions. But just as her life comes under intense public scrutiny, Maya discovers that her husband Nick has been lying to her for 20 years. At the same time a case that has dominated her career is about to reach its conclusion. Rudy Jones, a black man in America wrongly convicted of murdering a white politician, is to be executed. As she fights to save Rudy and discovers more about her husband’s past, Maya begins to realise there are bigger forces at work. Adapted by leading screenwriter Andrew Davies, produced by BBC Wales and The Weinstein Company, this is a modern take on one of the most famous and epic stories of all time. Encompassing huge themes of love and war, life and death, the series features a star-studded line-up including Paul Dano, Lily James and James Norton. The series was filmed in Russia, Latvia and Lithuania. BBC Earth, BBC Lifestyle, Ceebies as well as BBC World News are also available on Now TV. 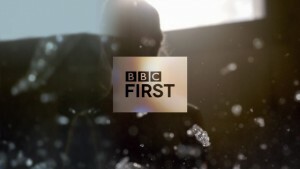 In Asia, BBC First is available in Singapore and Malaysia, and as a block in Japan. It is also in Australia, Middle East, North Africa, South Africa, Belgium, and the Netherlands. Existing Now TV subscribers with BBC Entertainment and BBC On Demand will have access to BBC First as a replacement for BBC Entertainment and BBC On Demand. BBC First will also be available to Now TV’s customers with Entertainment Pack Two. For more information on BBC First, please visit www.bbcasia.com.